Last Thursday, Twitter launched Vine, a new short video service that allows users to capture six-second videos and upload them to the service. From day one, the service has deep integration with Twitter and Facebook. The service was very buggy at launch too, and this has continued for a few days. Users reportedly could get onto other users accounts and see all their private information. Twitter has not commented on this privacy concern, but Vine stopped sharing on Facebook and Twitter while it worked out bugs. Twitter says that the six-second short video incorporates Twitter’s 140 character limit in video form. It allows the user to be imaginative and creative with the video, without cropping it to a state you cannot get any good content. As we have seen in the past few months on Facebook, video is becoming a more popular way of showing off social events. Many people have taken to short videos of them singing, playing piano, smashing glasses off their head and setting fire to their legs. The usual ways to get a lot of appeal on a social network. Video is still quite a large media, especially on mobile. The size of a video file is slowly deteriorating to what an image is, but this is a slow process. Right now, three hours of film can hold a lot of space on an smartphone. 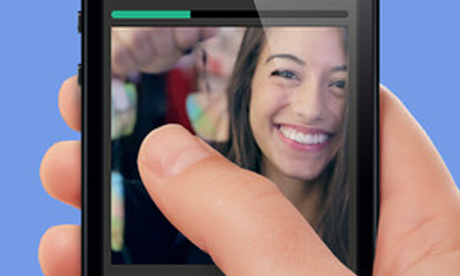 This may be why Vine is only allowing six-second videos. Cinemagram was another short video, but this was mainly used to show off animation and still images collide. YouTube is the obvious competitor, but with YouTube you have content from a lot of different backgrounds. Currently available for only the iPhone and iPod, Vine is a little short on appeal, despite the iOS market being densely populated by productive users. We suspect Twitter will look to add this to the Android platform soon.